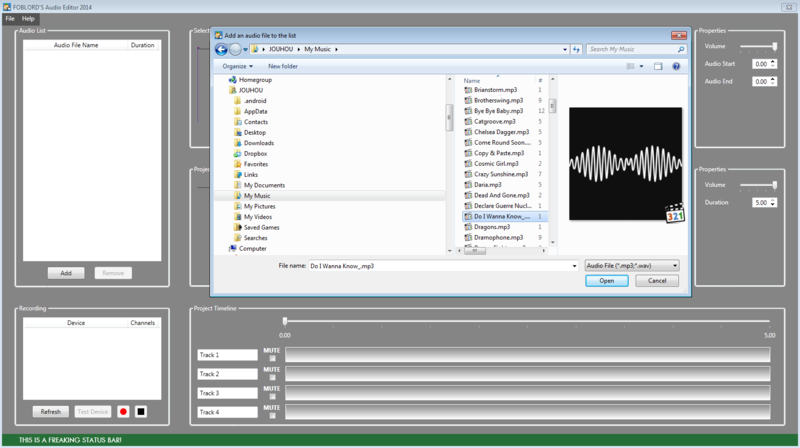 Audio Editor was created as part of learning about Rapid Applications Development (RAD). The intention was to create a 3D user-oriented tool, using Winforms/WPF and C# as the coding language. I chose to do something audio-oriented for users looking to edit their audio. For example cutting audio segments and changing variables for volume and pitch. 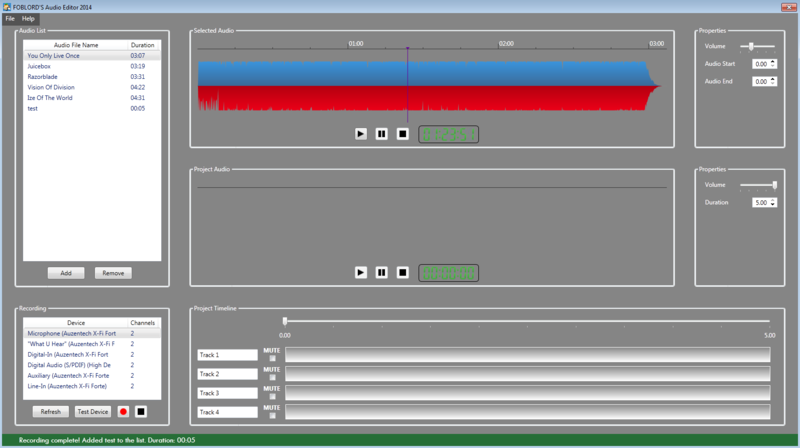 I used NAudio and the WPF Sound Visualization libraries as foundation for my editor. 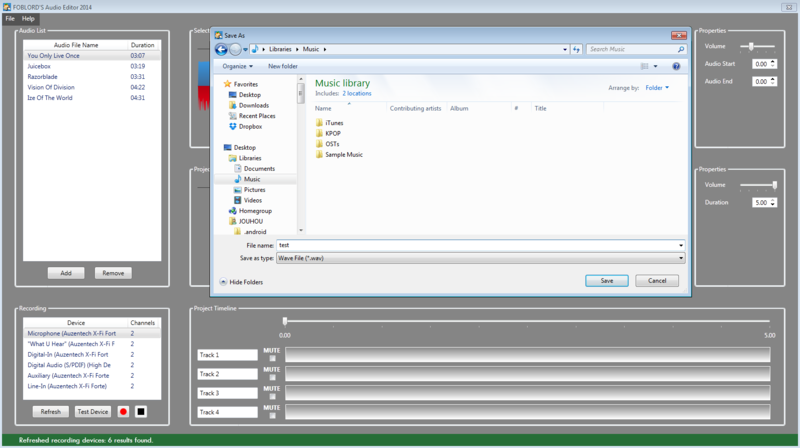 I also implemented many user features such as drag and drop, audio recording and file I/O. Unfortunately I was not able to complete the editor with all the intended functionality. © Khanh Dat Ho 2013-2017.